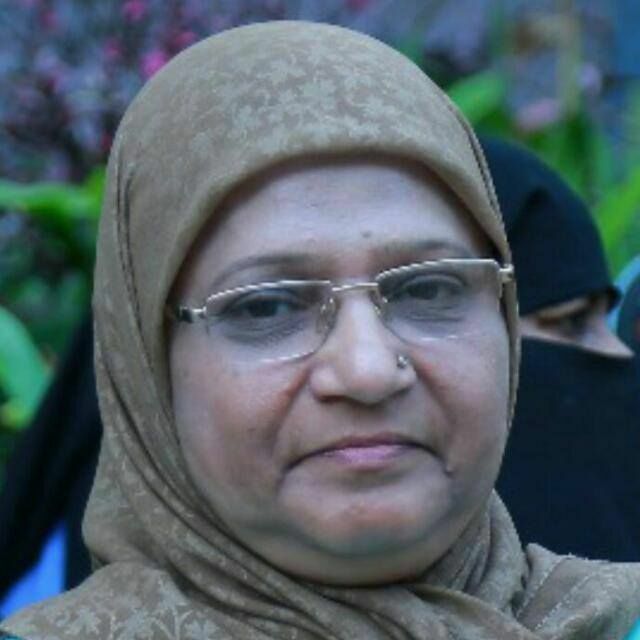 Tayyaba Afandi, a women who is a accountant in hospitals she became the Member in Hajj committee. 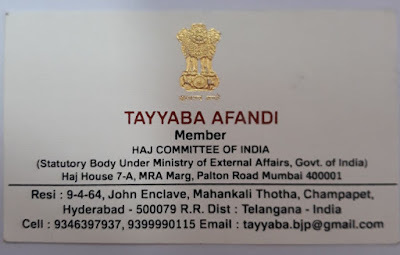 Tayyaba Afandi was born in 1961 in Old city, Hyderabad. 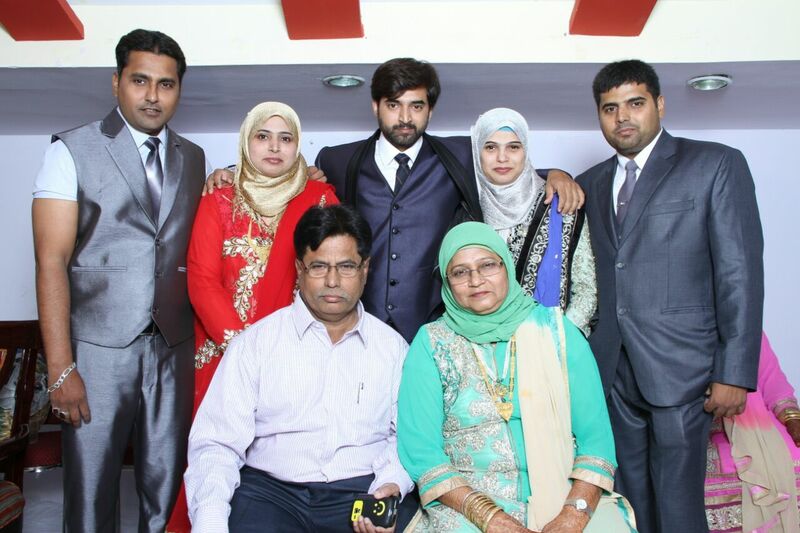 She is from Nawab family and her father is Mir syed ali khan and mother is Noorunnisa begum. Her father is a Landlord. She has completed schooling in Gosha mahal govt. girls high school and completed BA in vanita college, Nampally. In the first year of her BA she was married and discontinued her education in 1978. 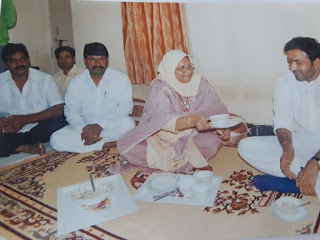 Later her husband Mirza Raees Afandi a Jounalist from Mumbai had supported her and with his support she completed her BA. 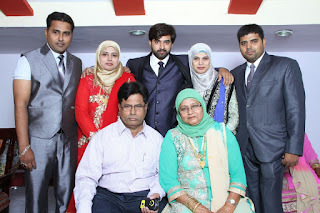 She is the mother of 5 children 3 boys and 2 girls namely Sameera afandi, Mirza zia afand, Mirza taleb afandi, Sabiha afandi and Mirza akhil afandi. Now, they had a Fani Fani urdu daily newspaper. Tayyaba Afandi worked as accountant for 18 years in 3 hospitals namely Dr. Zaib unnisa, BIBI cancer hospital and Muslim maternity hospital. In 2009 she became President of green estate colony champapet which consists of 40 houses there she used to do every religion parties like Iftar party in Ramzan, Ganesh idol are kept for Ganeshchaturthi and many more. Later MLA Kishan reddy has recommended her as AP STATE PRESIDENT Minority morcha as state secretary for BJP in 2010. She has given 14000 scholarship in BJP OFFICE. In Gujarat she got appreciation from Modi ji whe he is cm candidate in Gujarat BJP Office and she had taken party training in Bangalore for 3 days. With recommendation of her party she became All India Central hajj committee member. 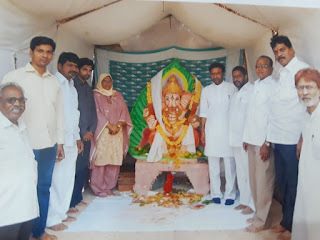 His last son Mr. Mirza akhil afandi Who has stood for the elections for corporator dabeerpura division 30 against MIM in GHMC elections and he is a BJP full timer in jangaon. How old are you, when you had first achievement ? share something about that ? Ans : When I was 22 years old to do a job is a challenge because Muslim families don't allow to do women work, but with the support of my husband. I achieved job. Tell us about an accomplishment you are most proud of? Whom do you like to credit your role model as --- Why? Tell us about a situation causing the feelings of regret in your career ? 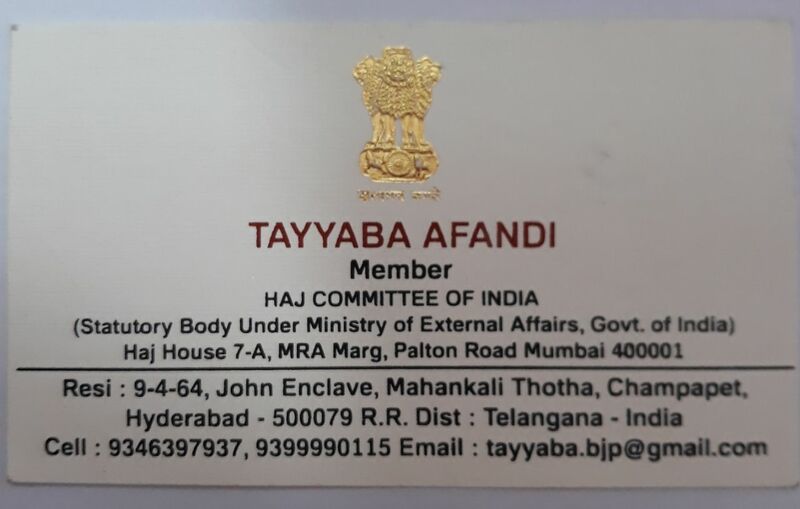 Ans : A small Regret that my father want to make me a lawyer So that I can get National Emblem on my ID card but I wouldn’t happen but now I got national emblem on my ID card as I am a Hajj committee member but my father is no more to show him that I got National Emblem in my ID card. What message you want to pass for our upcoming generations? What motivates you to get out of bed for a hectic work area every morning? 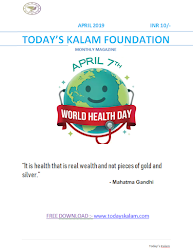 Ans : Every day I think that I should give something to my famliy and world. That’s why I am very with my work.